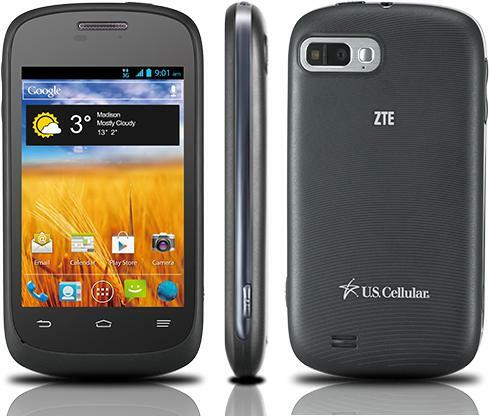 The ZTE Director has physical dimensions of 4.65"x2.46"x0.48" with weight 4.94 oz. It runs on Android 4.0 (Ice Cream Sandwich) operating system and powered by 1 GHz Qualcomm MSM7626A processor. It has 3.5" inches and equipped with 3.0 MP camera with LED and Digital Zoom features. For connectivity via Bluetooth 3.0, Wi-Fi 802.11 b/g/n, GPS, and USB. Other nice features like suppprt MP3, AAC, AAC+, MPEG4, H.263, H.264. The ZTE Director work on under CDMA network with frequency of 800MHz, AWS 1700MHz, 1900MHz.